A telephone survey of North Africans has found that they identify as Muslim first, citizens second, and that only 39 per cent of Egyptians condemn religious extremism. The raw data for the poll is apparently unavailable to the public but Africa Jeune, reporting, said that the president of Sigma – a Tunisian poll company “agreed to deliver the key lessons” to the French weekly. Africa Jeune claims that the poll results “dismantle many misconceptions in an outstanding way”. The poll was conducted in December last year for the Arab Observatory of Religions and Freedoms (OARL) and the German Konrad Adenauer Foundation, surveying people in the five countries of North Africa: Morocco, Algeria, Tunisia, Libya and Egypt. Except for Tunisia, people in the other North African nations said they feel predominantly Muslim rather than citizens of their country. Africa Jeune comments that it is “as if belonging to Islam has, replaced over time the Arab identity advocated by strong states such as Egypt”. “With 84.3% per cent of respondents who “strongly oppose” the niqab, Tunisia is the most averse to this type of veil a country in North Africa the most allergic averse to this type of veil. “The progressive status of Tunisian women leaves its mark on the perception of religion among Tunisians,” says Hassen Mr Zargouni. While that might be good news, the overall findings are less encouraging. Support for the niqab is at 45 per cent in Libya, 37 per cent in Egypt, 34 per cent in Algeria, 28 per cent in Morocco and 13 per cent in Tunisia. A small majority of citizens agree that there should be separation of religion and politics, Africa Jeune only offering the Libyan figure of 61 per cent; but 38 per cent and 36 per cent of Algerians and Moroccans respectively oppose it. But “nothing is simple”, as the magazine puts it, noting the contradictions regarding respondents’ opinions on Sharia law. Seventy-nine per cent of Libyans believe Sharia should be the sole source of legislation as do 63 per cent of Algerians, 60 per cent of Egyptians, 55 per cent of Moroccans with, again, the only notable exception being Tunisia at 23 per cent. Africa Jeune asks whether the universal enthusiasm for Islamic law is an expression of religious conservatism or real radicalisation, before stating that “the answer isn’t is not obvious”. The reason given is because the majority surveyed believed that the state must defend religion when it is attacked but, at the same time, imams must remain outside the political fields. The findings perhaps do not bode well for freedom of speech in Western European countries which have large, and growing Muslim populations. 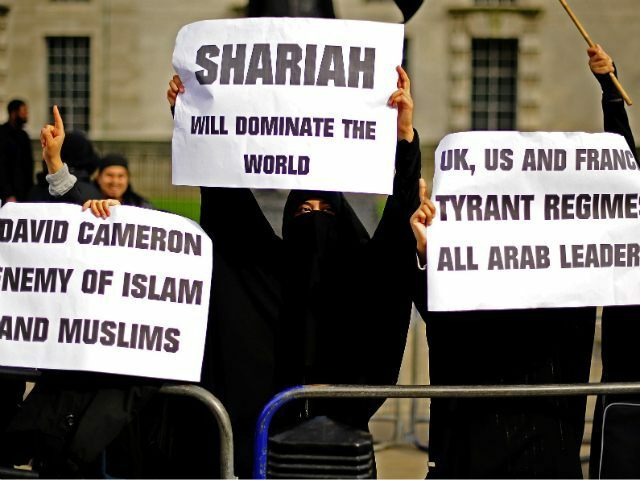 It also suggests such countries are demographically, on their current course, on track to adopt Sharia law in the future. Africa Jeune also reports that respondents don’t do not differentiate between the words “Muslim” and “Islamist”, and states hopefully that this is “probably because the two terms are pronounced almost the same way”. It also states that respondents agree “that religious extremism is ‘a misinterpretation of religion, and a slander of Islam’” – a favourite claim of politicians in the West. Religious extremism is condemned by only 39 per cent of Egyptians, but is condemned by 83 per cent of people in Tunisia. Perhaps unsurprising given the country experienced a terrorist attack last year which left 27 dead and inflicted serious damage on its tourism industry, one of the country’s main source of revenue.